It’s another year in the books. 2015 has come and gone, and we still aren’t in flying around town in DeLoreans like in Back to the Future 2. Hover boards are here though, although they aren’t really hover boards, they are more like Segways without the handles. So with a new year comes with people making a New Year’s Resolution. This means crowded gyms and a whole bunch of people that want to get healthy and lose weight. Not to worry because most of these people will be gone in less than a month. In fact, I’m writing this about a week after the New Year and about a 1/4 of people have probably already stopped going after their New Year’s Resolution. This 1989 study showed only 77% of people were able to keep their commitments for more than a week. So how do you keep from becoming that person that talks a big game but doesn’t do anything or gives up too soon. Last year I wrote about the reason Why New Year’s Resolutions fail and this year I’m going to expand on that a little since I’m a year older and a year wiser. According to that site, the top priority for most people is to lose weight. That’s good news for me because that’s what I help people do. Winner, winner, chicken dinner. Since I see so many people that want to lose weight, there are a few common challenges people face with this goal. The biggest issue is with the goal itself. A goal like “to lose weight” is so unspecific, it is hard to know if you accomplish it or not. I could go use the bathroom and be lighter on the scale afterward. Does this mean I accomplish my goal? I could also go drink a big glass of water and see the scale rise. Does this mean that I’m doing a bad job? The same thing goes for #5 on the list… “staying fit and healthy.” This is another goal I hear a lot. I need to ask a lot of follow up questions when I hear that because I don’t even know what that means. I know what it means to me but what I define as fit and healthy may be totally different that someone who is 400 pounds and has never worked out a day in their life or a 60-year old marathon runner. If your resolution is ambiguous it’s hard to determine if you ever reach it so pick a goal that is specific. And of course all the problems I mentioned last year still apply. Set goals that are realistic, have a plan, track your progress, don’t forget about your resolution and don’t make too many resolutions. Most of the data indicates that most New Year’s Resolutions fail yet people still continue to make them. This site said that only 8% of people actually achieve their goals. They also said that 24% of people fail every year and keep making them. A 2007 study had a little better but similar results. 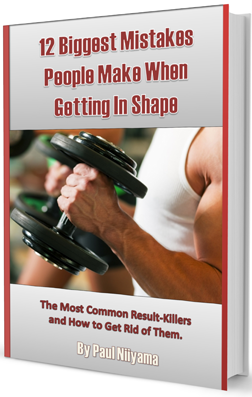 Their survey indicated that 88% of people who made resolutions failed. This study from 2002 showed a little better rate of success. The subjects that made a resolution were successful 46% of the time and people who did not only succeeded 4%. So not only did they show more success, they significantly outperformed those without a resolution. Another publication also noted the positive effects that goal setting has. They review studies about goal setting and found that 8 of the 13 studies had good results with people achieving nutrition and physical activity goals. So even though most of the data show that New Year’s resolutions are rarely successful, it also shows that it’s better than not having a goal at all. Goal setting is important for achieving what you want but most people will wait for a definite start point before starting something. This is why gyms are usually more crowded in January than December and busier on Mondays than Fridays. It’s like starting with a clean slate at a definite starting line. That’s great for some people but to me, waiting until a nice starting point for a goal is just a form of procrastination. If you want something… why wait to start? If you want to lose weight and it happens to be November, why put it off til January? If it’s a Thursday and you want to start to eat healthy , don’t wait til next Monday. Then if you have another goal throughout the year don’t wait for the next year to start going after it… create a plan and go after it right away. Hopefully this will help you to make 2016 even better than 2015. What are my Fitness Goals for 2016? Even though I usually don’t make a New Year’s Resolution, I do have a few things I want to accomplish. As far as what I want from a health and fitness standpoint, it’s pretty simple. 2015 was a good year for me fitness-wise. I wasn’t too concerned with a certain body-fat percent or a certain weight. Instead I was really focused on moving pain-free again after years of being limited by old nagging injuries. Most movements are feeling pretty good again, so now I want to get my strength back up. I’m not a power lifter and don’t plan on competing, but I do want to get my bench, squat and dead lift total back to over 1,200. That’s my New Year’s Resolution. That’s it. One number.. pass or fail… simple. I probably won’t be doing any 1 rep maxes or entering any competitions to test it accurately. Instead I’ll be using max calculators based on the reps I can do with certain weights. I know it’s not the true measurement but if I can get the right numbers, I’ll be happy. To get there, I’m using the calculations and workouts from Jim Wendler’s 5/3/1 program . I’ve heard good things about that program so I’m trying it out myself. Plugging in my current numbers, I’ll be way above that in December if no injuries occur from now til then. That is my main fitness related goal but of course I don’t want gain too much body fat and look like a slobish sloppy trainer so I’ll be monitoring that but I won’t be trying to getting ripped. Don’t worry, even though strength is what I am focused on personally, most of my clients still want to lose or gain weight so that is what most of my articles and videos will still be about. I’d love to hear about what you plan to accomplish this year. Let me know in the comments or leave me a message on social media. I respond pretty quickly on Facebook and Twitter and of course, be sure to subscribe to my YouTube channel for more great tips. ← Bone Broth Benefits: Is the Hype Real?